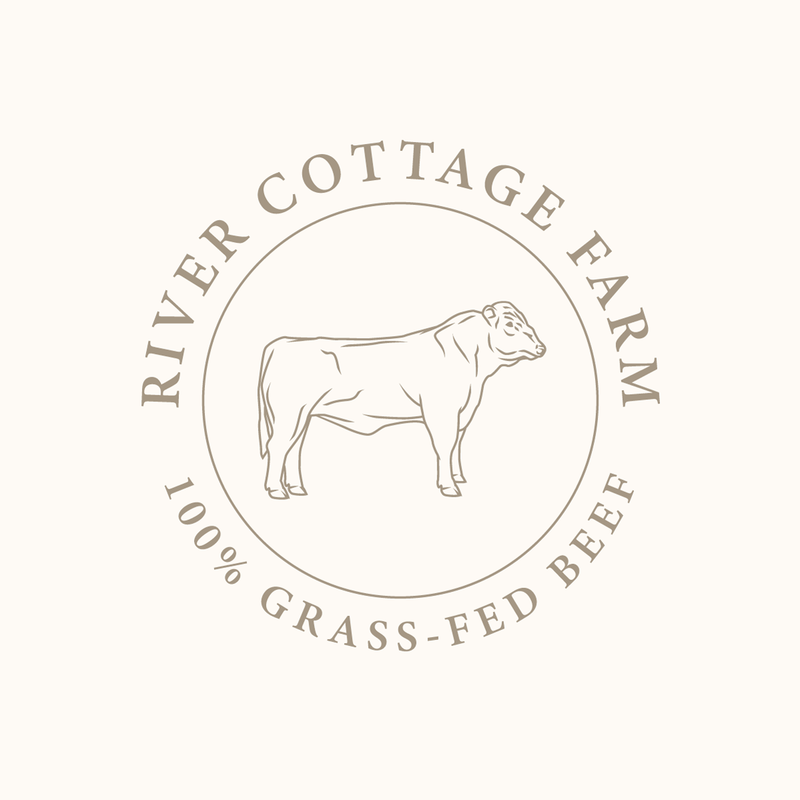 At River Cottage Farm, Quality Products means Quality of Life, for our customers, for our animals, and for the land that sustains them. 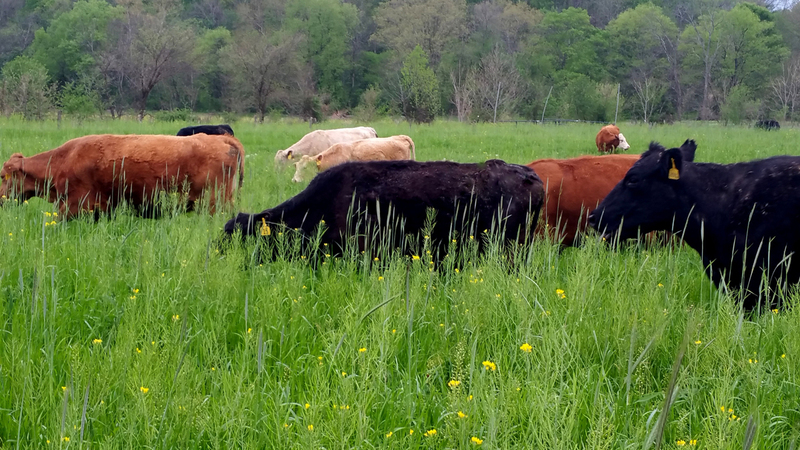 “We raise our beef with our customer in mind, which is why our cattle are 100% grass-fed and grass-finished. We never use any antibiotics or growth hormones. Our commitment to quality does not stop there. We dry-age all of our beef from 14 to 21 days to ensure the most tender, mellowed, rich-tasting beef. Dry-aging is becoming a thing of the past because much of the beef’s weight can be lost in shrinkage and trimming, lowering profits for the farmer. 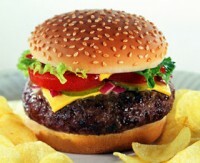 Instead, most farmers’ beef is now wet-aged or aged utilizing electric shock. Both of these methods fail to give comparable results to the dry-aging process. Because of our dry-aging, our beef experiences minimum shrinkage during the cooking process. This means our customers know the cut they buy from us will match the cut that ends up on their plate. But, most of all, our customers recognize the quality difference when they taste our 100% grass-fed, dry-aged beef. Our family is passionate about providing our customers with the healthiest, safest, and highest quality beef. View our current selection of Grass-Fed Beef. Grass-fed beef is better for human health than grain-fed beef in ten different ways, according to the most comprehensive analysis to date. The 2009 study was a joint effort between the USDA and researchers at Clemson University in South Carolina. Lambs were the first animals to arrive at River Cottage Farm. My desire to learn to spin and weave trumped all, and three girls were brought to the farm to start our flock. Now we have over 30 on the farm and they are chosen based on their fleeces and their ability to produce great tasting lamb for our customers. The difference between grain-feeding and grass-feeding lamb is the same as that with any ruminant (an animal with four stomachs). They were not created to eat grain and the health benefits (for both the lamb and the consumer) that come from removing grain from their diets prove beyond a doubt that we should consume only grass-fed meats. 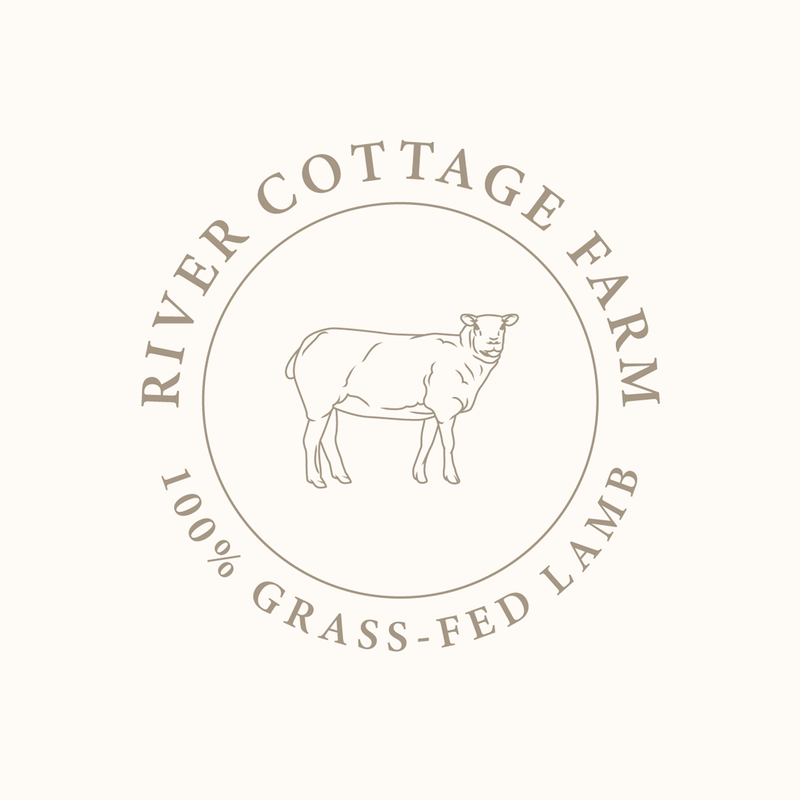 View our current selection of Grass-Fed Lamb. 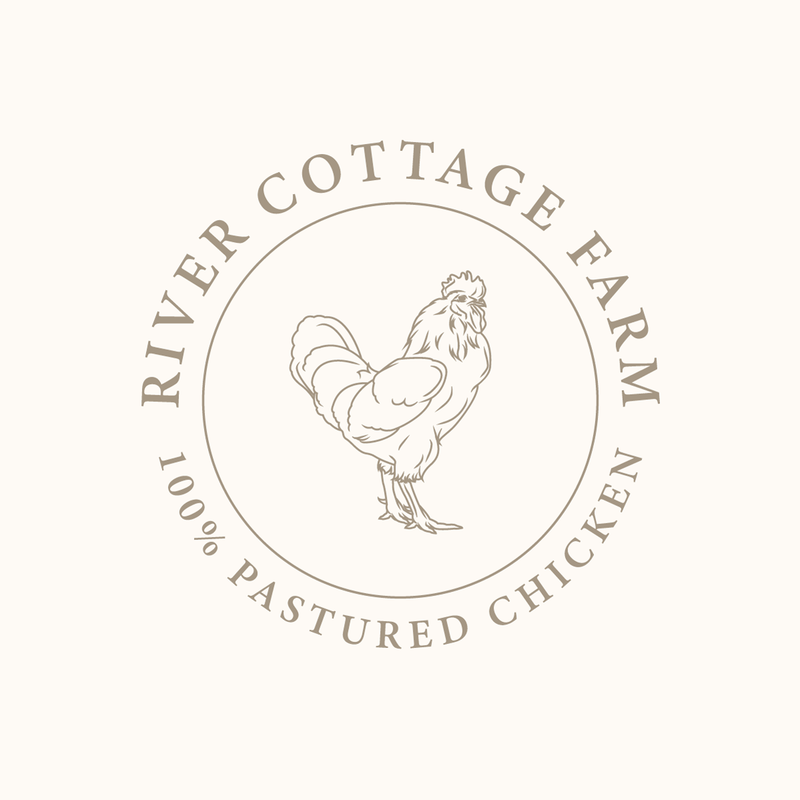 River Cottage Farm Pastured Poultry are pasture-grazed on pesticide- and herbicide-free fields. They are fed a ration that has NO antibiotics, NO hormones, and is lab certified NON-GMO. The use of non-GMO grain is very important to us. It costs more, but in our opinion is well worth the difference. This is our chance to support grain farmers willing to stand against “conventional” pressures and remain GMO-free. Raised in open hoop houses, the chickens have continuous access to pasture, which allows them to live a biologically and behaviorally appropriate life while protected from exposure and predators. This technique also provides more insects for the birds to eat and a cleaner environment in which to live. These birds are unbelievable. Dubbed “The Spoilers”, once you eat a River Cottage Farm chicken it is impossible to go back to eating conventionally raised, MSG drenched birds. Currently, we offer whole birds, half birds, boneless, skinless chicken breast, legs/thighs, feet, wings, chicken livers, stocks packs of backs and necks. Our chickens are 3 1/2 to 5 lbs. View our current selection of Pastured Poultry. Our pasture-raised eggs are famous in several states. Many customers testify that our eggs are the best they have ever tasted, which is attested to by the number of reserved eggs we take to the farmer’s market. Allowing our hens to roam freely on organically managed pastures, eating bugs galore and supplemented with organically grown grains creates an X-Factor that produces the best eggs with deep orange yolks and firm whites that cling to the yolk. 40-60 percent more vitamin D than their less fortunate cousins, factory hens. View our current selection of Pastured Eggs. Pastured pork is more nutritious. Pastured pork has higher levels of vitamin E, healthy omega-3 fatty acids, and many other nutrients than conventionally raised pork. Unlike the anemic and sickly-white, conventionally-raised pork, our pork has a healthy, rosy color. Pastured pork is more humane. Pigs raised on pasture have more than just freedom from confinement; they have the freedom to behave in natural ways. Pastured sows create nests for their piglets, and live in family groups, just like wild sows. Even sows that are supplemented with grain or slops spend much of their day rooting and grazing in the sun and fresh air. Pastured pork is delicious. Many people are surprised when they first taste pastured pork. The tough, flavorless, meat is a thing of the past and no MSG is required to make our sausage scrumptious!! Our pork products are nitrate free, GMO-free, gluten-free, and casein free with no fillers of any kind. 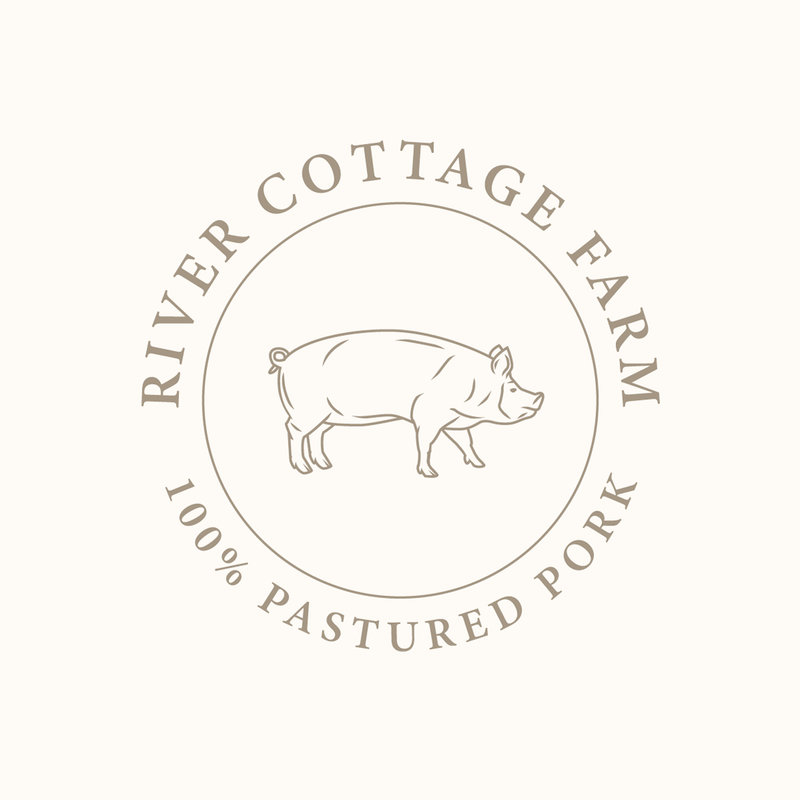 Here at River Cottage Farm, we raise no more than twenty hogs each year. From those hogs, we produce our divinely delicious Breakfast Sausage, Sweet Italian Sausage, and Applewood Smoked Bacon as well as the usual round of suspects. Our pigs are regular workers on the farm and they like it that way. Their lives are spent eating grass and helping out in the digging, composting and weeding chores on the farm. This year the pigs have helped us to get our new bee yard ready for a beautiful meadow! View our current selection of Pastured Pork. 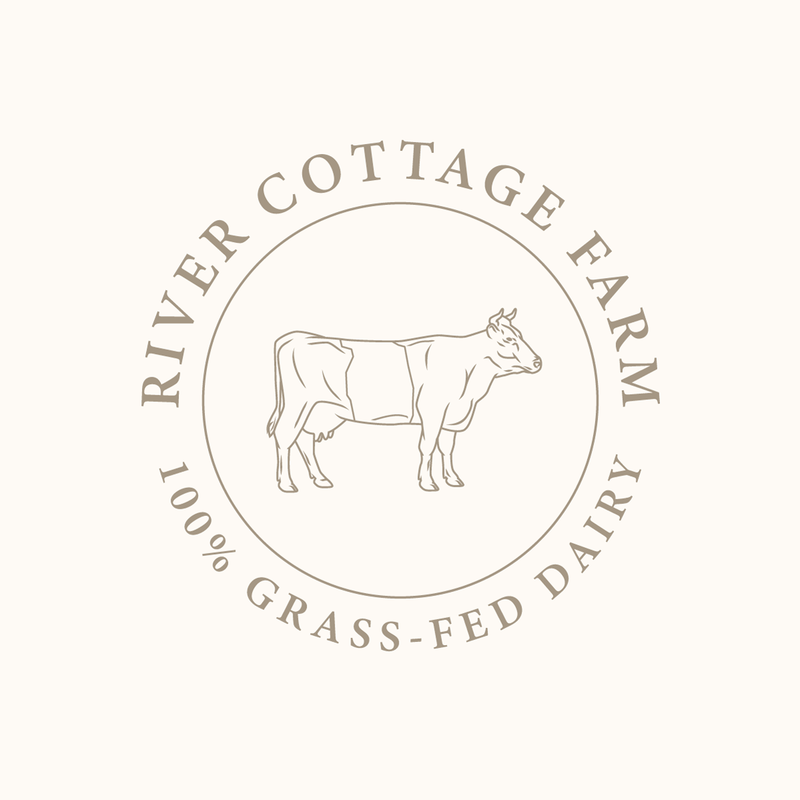 River Cottage Farm produces 100% grass-fed, raw milk of premium quality. USDA organic standards are followed for all of our animals and pastures, but we go far beyond those guidelines for our customers. 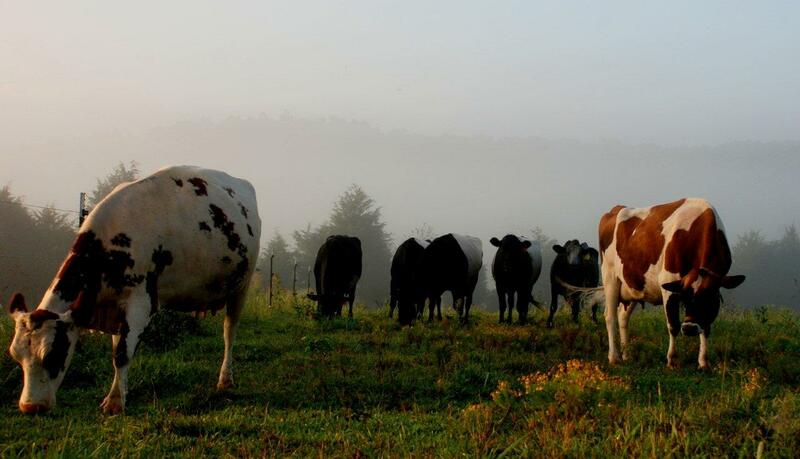 The USDA requires that cows be pasture grazed just four months out of the year, but the cows at River Cottage Farm graze year-round. In winter, high-test alfalfa hay is available to supplement if there is not enough grass. Our cows also have constant access to specially formulated organic minerals and salt, which they consume as-needed to keep them healthy and strong. Our animals are raised outdoors on pasture with the “most stringent” humane animal welfare standards according to the World Society for the Protection of Animals. In the States of Kentucky and Tennessee, you must own the cow (or at least a portion of a herd of milking cows) to drink raw milk legally. For more information on our cow boarding program, click here. Our bees are an integral part of the farm. At this time, we have 50 hives on the farm. Our honey can be purchased filtered or non-filtered. The best time of the year to begin taking honey medicinally for allergies is in the winter, so it’s a good idea to stock up around September which, if Mother Nature allows, is our last harvest of honey. For more info about our honey, including our bees, click here. 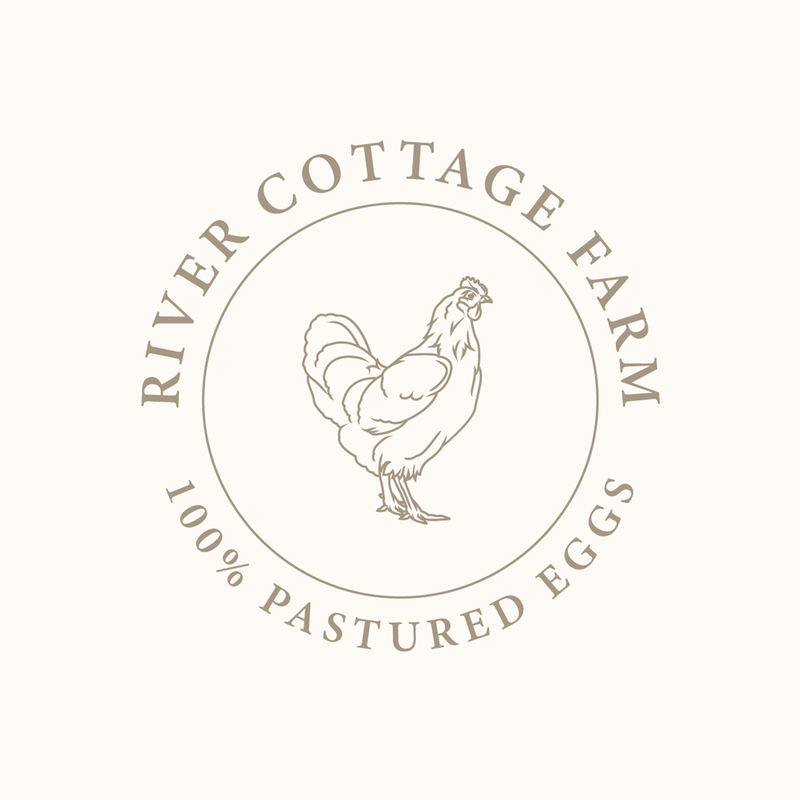 To stay up to date on River Cottage Farm’s products and events, please subscribe to our newsletter.